All members and friends of the Belarusian community in Britain are cordially invited to the traditional Kaliady (Christmas) celebration organised by Anglo-Belarusian Society on Saturday 20 December 2014, 2pm at St Cyril’s Belarusian Religious and Cultural Centre (Marian House, Holden Avenue, London N12 8HY). 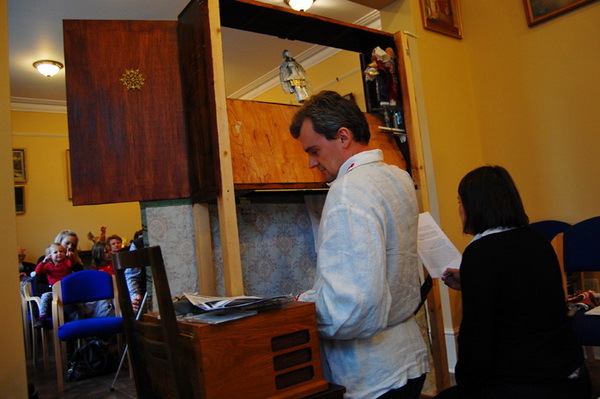 There will be the traditional, well-loved Batlejka (Belarusian Christmas puppet show) given by Paval Šaǔcoǔ and Saša Biełavokaja. This will be followed by a short theatrical Nativity play with participation of the children attending St Cyril’s Sunday School. 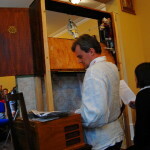 This entry was posted in ABS and tagged belarusians, christmas, Church, london. Bookmark the permalink.